An American warship has been targeted by Houthi missile attacks in Yemen. For the third time in the past week, the USS Mason has been fired upon by the Iran-affiliated rebel group currently battling for control of Yemen, according to reports. 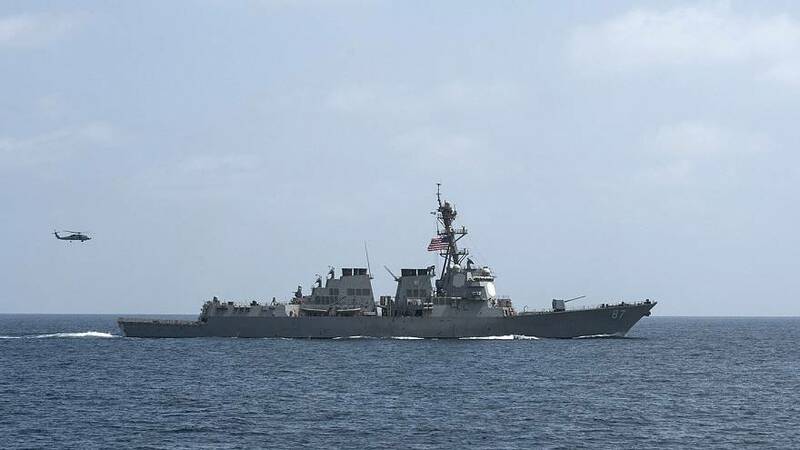 No damage or injury was reported to the ship or its crew, however the alleged attack comes two days after the US launched cruise missiles against Houthi targets, marking Washington’s first direct military action against the group in Yemen. Meanwhile, in an apparent conciliatory act, two American hostages were freed by the Houthis after Omani officials mediated their release. The men were flown to Oman along with injured Yemeni citizens seeking treatment for injuries sustained in their country’s civil war. The conflict in the Arab world’s poorest country has led to widespread famine and the deaths of more than 10,000 people since the outbreak of fighting in March 2015.